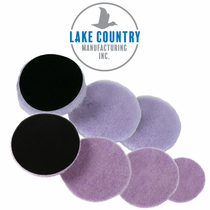 Lake Country's Purple Foamed Wool Pads combine the benefits of foam pads and wool pads in a single foamed wool pad. 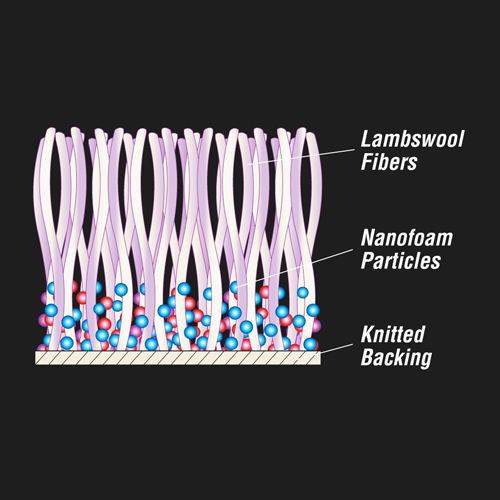 The new technology patented nano-foam process encapsulates the base of the lambs wool fibers with microscopic polyfoam particles to resist caking and matting. This process also creates minute air pockets at the base of the fibers for cushioning as well as polish and compound retention.